A Mad Scientist’s job never ceases. Therefore, when Sixpoint Headbrewer Ian McConnell was on vacation with family in Maine, he plucked bushels of fresh spruce tips from the woods. These young needles from the spruce tree in spring are an unexpected culinary gem — bursting with a tart, fruity flavor and fresh essence that is quite unlike anything else. These wild-foraged finds would somehow make it into a Mad Scientists creation from Sixpoint — but what would it taste like after the boil? And what else would it lend to the overall beer, used in combination with a similarly tropical-tasting hop, Simcoe? Such questions are on the table for every beer in this bi-monthly series. Whether it’s an unlikely natural additive or a brazen style of brewing to tackle, each experiment has emboldened the madness of our scientists at Sixpoint. Spruce are one of the oldest trees on the earth, and indeed, the oldest known living tree in the world is a spruce in Sweden. Only in the spring, when tender new needles emerge from a husk, are the spruce tips, as they were, soft and palatable. For all their medicinal and culinary value, it’s a wonder why spruce tips aren’t harvested more. Rich in Vitamin C, they are known to prevent scurvy in survival situations. They can also be chopped up for use as a fresh herb, or steeped in a tea. These spruce tips do not taste much like pine or Christmas trees, but are rather bright and lemony, with a tinge of bitterness. Their aroma is fresh and grassy, with spring floral qualities, and this is what the Mad Scientists determined would come across most from the spruce tips in their beer. Choosing a pale ale to showcase this unique spruce essence in, the brewers devised a recipe using pale ale and crystal malts, with Simcoe hops for bitterness. “Simcoe also has a sort of Juicy-Fruit flavor,” said brewer Pete Dickson. The spruce tips collected from Ian and his family in Maine were kept sealed and refrigerated the few days before brew day. They were added to the boil along with the hops, creating a fresh aroma that could be smelled across the brewery. After conditioning, the beer has a thick, foamy head and bright orange complexion. But its taste is much more than meets the eye. These fresh spruce tips lend a surge of brightness to the beer at first sip, balanced with a kick of bitterness from the hops. Its gentle aroma is slightly floral and fruity, and the finished beer has an IBU of 35, and ABV of 5.3%. 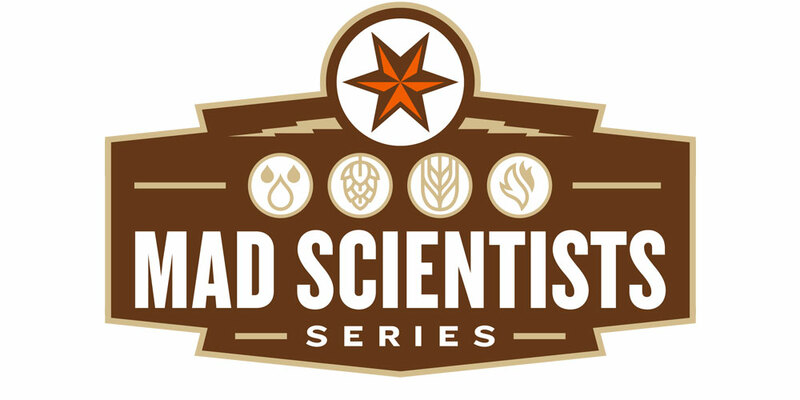 Find it on tap from June 15th on, until the next Mad Scientists experiment is brewed up!